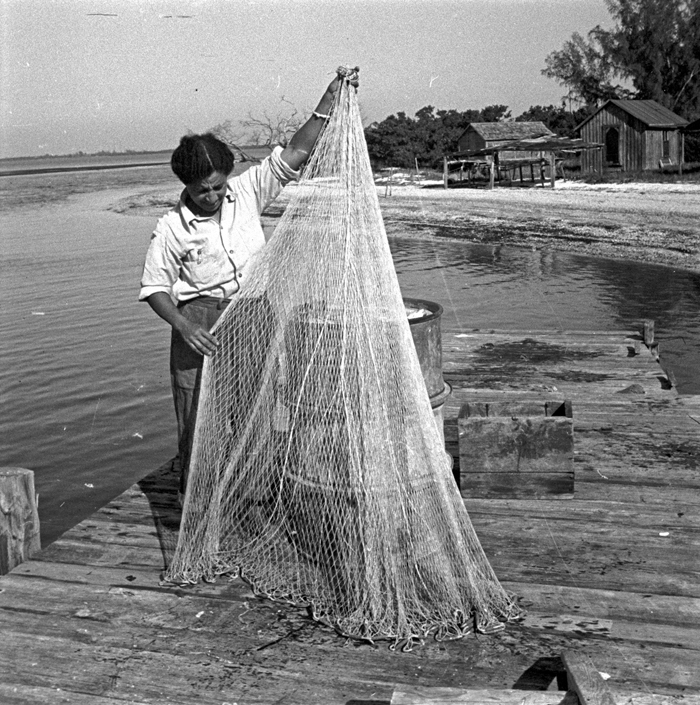 1948 – Esperanza is folding a cast net on her dock at the mouth of Tarpon Bay, Sanibel Island. She used this cast net to catch live bait for her fishing guide party. Most needed to book their fishing trips a year in advance.